Keeping the kids entertained during school holidays is never an easy feat, but even more so during winter, when visiting the local pool or beach is out of the question and cinema queues would make any parent feel a bit faint. These holidays, The Lost Dogs’ Home has the perfect solution that will keep the whole family happy, and at the same time teach important life lessons of responsibility and companionship. We’re offering 50% off the cost of adoption to anyone who completes our Pet Licence test from June 29 to July 15! “Adopting a pet during the school holidays works for everyone; not only are the kids kept busy getting to know their new friend but it gives the new addition the chance to become familiar with his or her new family,” said General Manager of the Home, Sue Conroy. Winter time is always tough on shelters and our North Melbourne, Echuca and Wingecarribee shelters are currently overflowing with animals looking for new homes. However, it is our cats in particular who are in need of a warm lap to curl up on, with over 80 adult felines and over 25 kittens waiting for their forever homes. “Cats are like living, breathing, purring hot water bottles!” Sue said. “There is no greater feeling than snuggling up on the couch with a movie, a bowl of popcorn and a furry little friend who is just as keen for warmth as you are! Of course while the school holidays are the perfect opportunity to welcome a new pet into your home, we like to remind people they are a commitment for the lifetime of the cat or dog. “People need to consider what direction their lives will take in the next 15 years on average, and if they can commit to caring for an animal for that period of time. We want our adoptees to be someone’s best friend not just for these holidays, but for many school holidays to come!” said Sue Conroy. Those who wish to take advantage of our amazing half-price adoption offer simply need to visit dogshome.com and follow the links to the Pet Licence. To save on time, we advise you complete the online version prior to visiting The Lost Dogs’ Home; however, please note there will also be tests available for completion at the shelters. 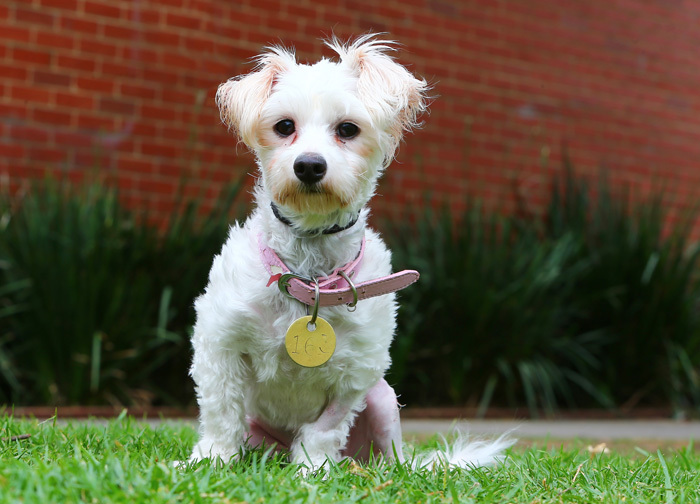 “The Pet Licence is our way of ensuring people know exactly what they are committing to when the adopt an animal,” said Sue. “It covers exercise and dietary requirements, the cost of veterinary care, the need for socialisation and playtime, and everything else in between. All our cats and dogs are desexed, microchipped, vaccinated and have had a health check prior to going up for adoption. To see which one might be the right one for you, please see our adoptions page. Our Warra shelter in Brisbane will continue it’s half-price cat adoptions promotion until September.